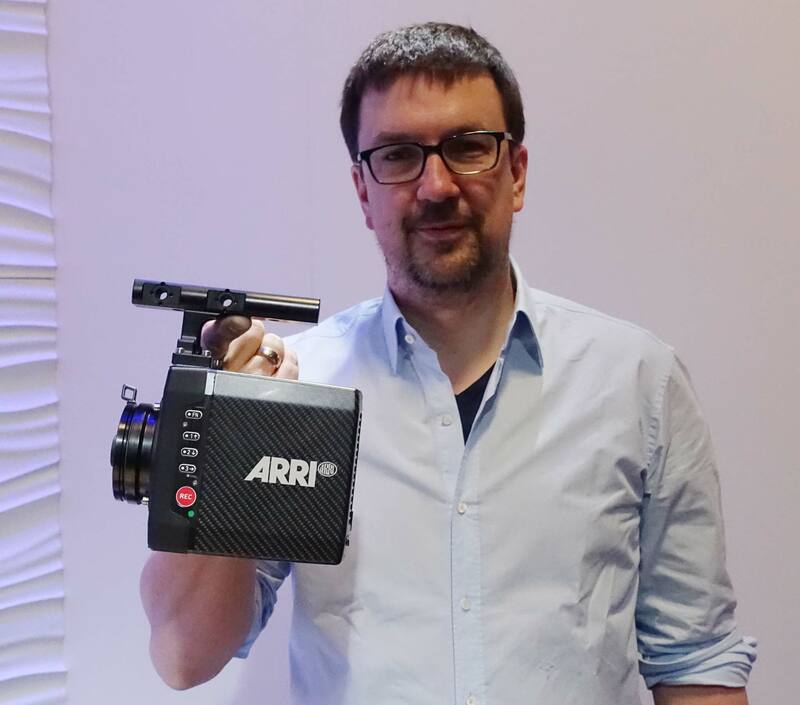 Is Michael Jonas, ARRI Product Manager, demonstrating the latest gimbal rig for the new featherweight ALEXA Mini? Index finger support, stabilization, ergonomic design. No — but he’s showing how light the new carbon fiber body camera really is.